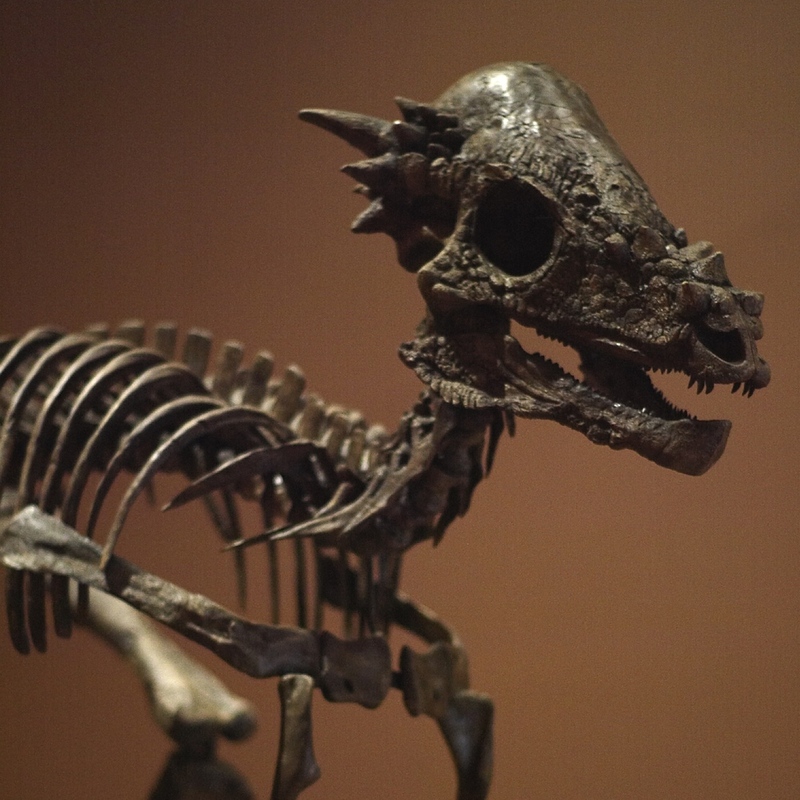 Pachycephalosaurus wyomingensis is a favorite in discussions among dinosaur enthusiasts and research paleontologists alike. 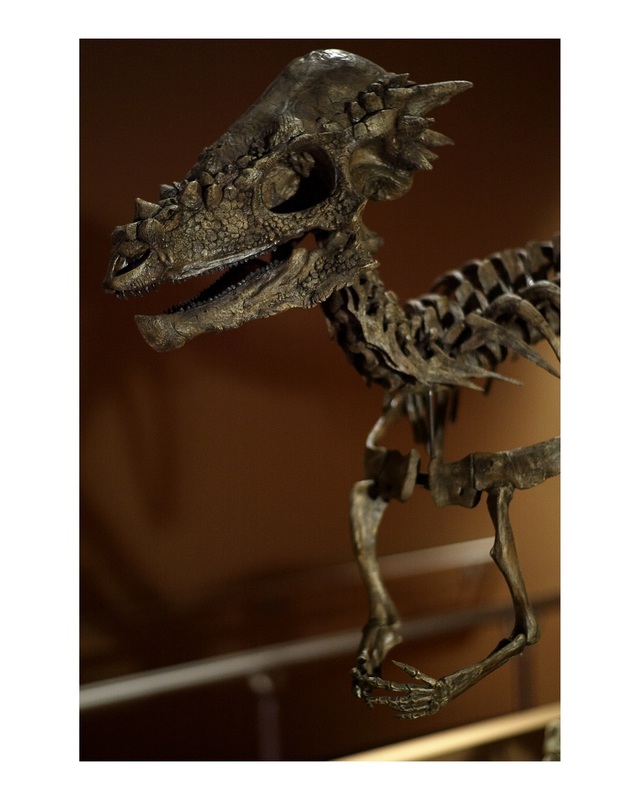 This bipedal, plant eating dinosaur had an exceptionally thick skull roof, the origin and function of which has been the subject of controversy since the creatures were first discovered in latest cretaceous rocks of the western united states. 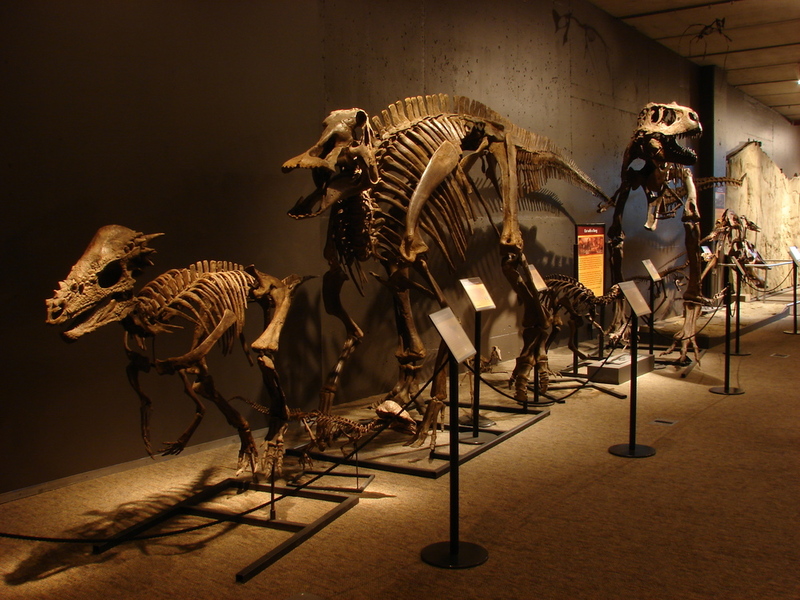 Many dinosaur researchers believe that the 'domes' of thick bone on the top of the animal's skull developed over time as part the animal grew into adult-hood. Others argue that smaller specimens with different cranial proportions constitute separate species of dinosaurs. With regard to the function of these thick skull bones, various theories have been suggested including defense, display, and intraspecific competition.